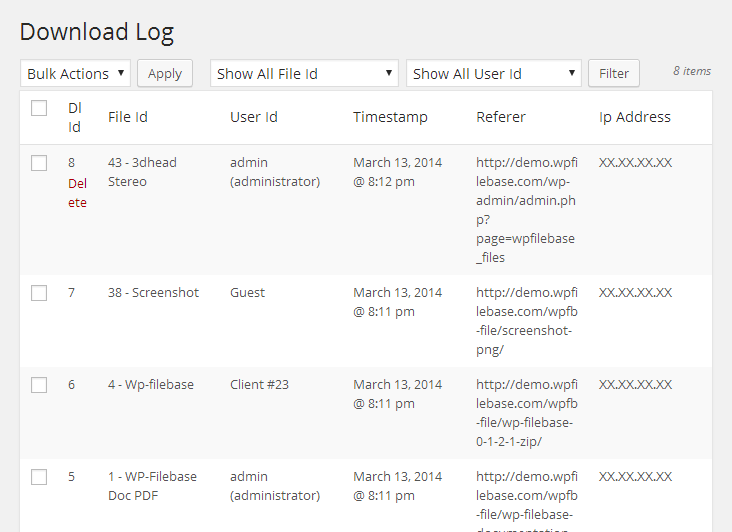 The Download Logger allows tracking each download made through WP-Filebase. It logs user details, when and which file has been downloaded. 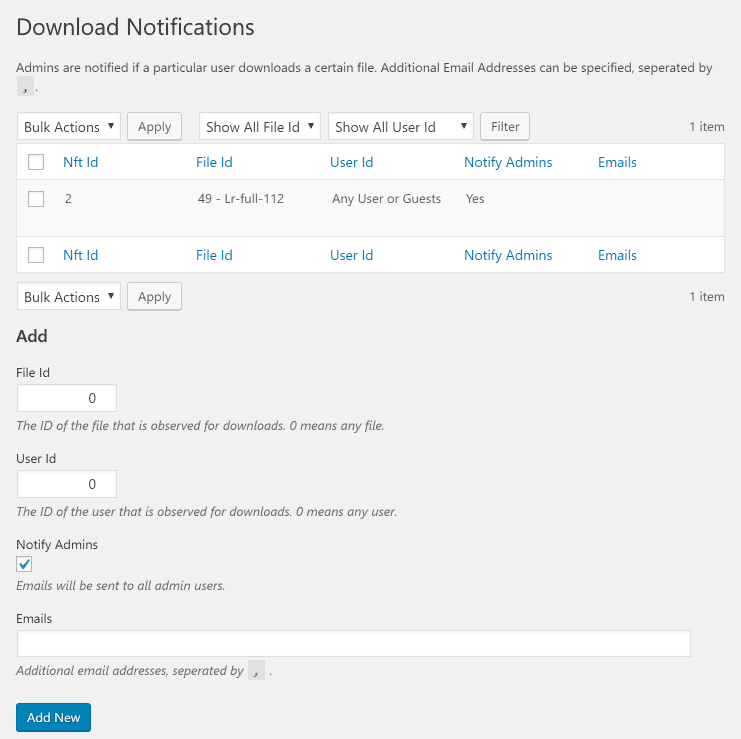 Additionally you can setup E-Mail notifications that are sent as soon as a certain user downloads a certain file. The referer allows you to find external direct links to your downloads. In the back end you can filter the download log by file and user. This extension track downloads of category ZIP-files too. WP-Filebase Download Logger Module simply integrates into WP-Filebase. It is compatible with both Pro and Free version of the plugin. Does the download logger allow for an export of the list as a csv file or anything? Wondering if there’s the functionality to save out the download list? Thanks! I just love this platform and like to learn everything here about windows 10 operating system.Follow this website homepage address http://gethelpwindows10.com and get to know more.